A CrossFit WOD for a true Hero. The Saman Hero WOD has been created in memory of retired Thai Navy SEAL and Petty Office First Class Saman Kunan. He died so they might live. 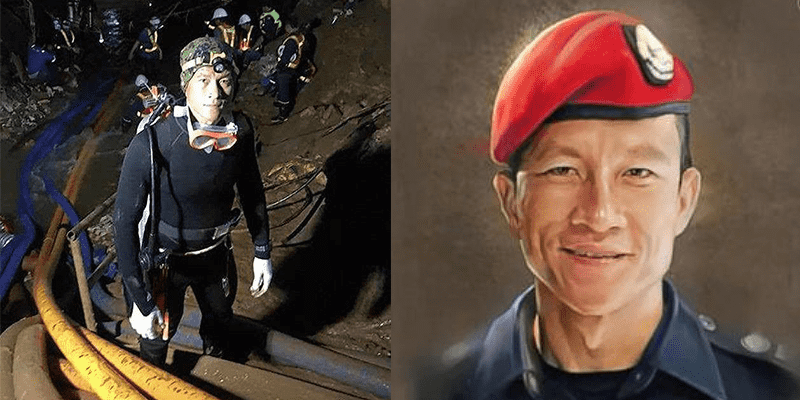 🕊 As cave rescue operations in Thailand progress, we remember Saman Gunan, the former navy diver who died while taking part in efforts to rescue the 12 trapped boys and their football coach. Click on the link in our bio 👆 to read more about his heroic life. CrossFit Hero WODs are designed to reflect the person and their mission. The Saman Hero WOD will include running 3.2 kilometers — the distance the boys and their coaches were into the cave. Each round will include 13 deadlifts, representing the 13 people that Saman gave his life to rescue, and 17 wall ball repetitions, representing their 17 days underground. Add this workout into your training and take the time to honour a truly brave man.